Starbucks recently and exclusively announced the introduction of new Starbucks Teavana Frozen Teas in Asia, a refreshing, icy-smooth handcrafted beverages combine the finest Teavana teas. Starbucks Teavana Frozen Teas then refined by botanical blends with premium ingredients like Kyoho grapes and pomegranate pearls. Starbucks wants frequenters to experience tea like they’ve never imagined, drawing inspiration from a love of tea in Asia and from popular new flavors. Starbucks Teavana Frozen Teas have been developed exclusively for customers across Asia, delivering a sophisticated and modern tea experience. 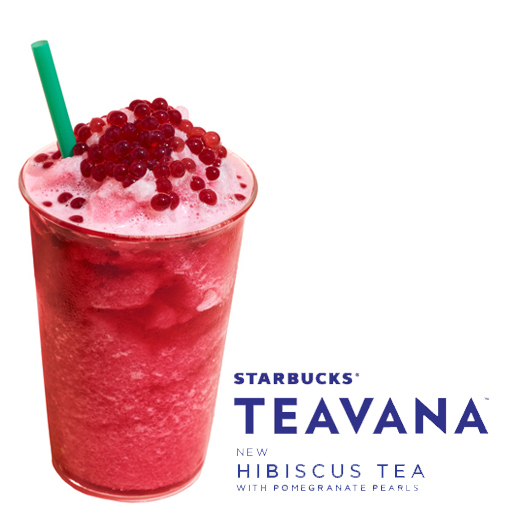 The Starbucks Teavana Frozen Hibiscus Tea with Pomegranate Pearls combines floral notes of hibiscus flowers and rose petals with the tropical flavors of papaya and mango. Then enhanced with hints of cinnamon and lemongrass, topped with glistening, jewel-like pearls of pomegranate juice that burst on the tongue. 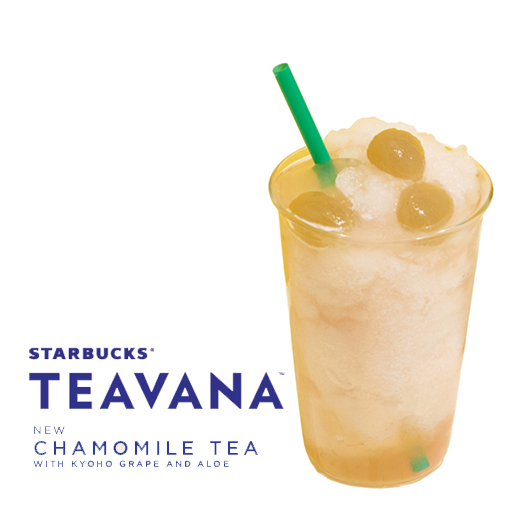 Starbucks Teavana Frozen Chamomile Tea with Kyoho Grape and Aloe tenders soothing experience of chamomile tea blended with honeyed white grapes and aloe cubes. Its harmony delivers a cool, lightly sweet taste and topped with Japan popular variety of skinned and pitted whole Kyoho grapes. Now, it's for you to explore the Icy, refreshing and packed with antioxidants, Starbucks Teavana Frozen Iced Teas will be available in limited time only. For more information about these new Starbucks Teavana Frozen Teas, visit www.starbucks.ph. 0 comments: on "Explore the World of Tea through Flavor and Variety with Starbucks Teavana"